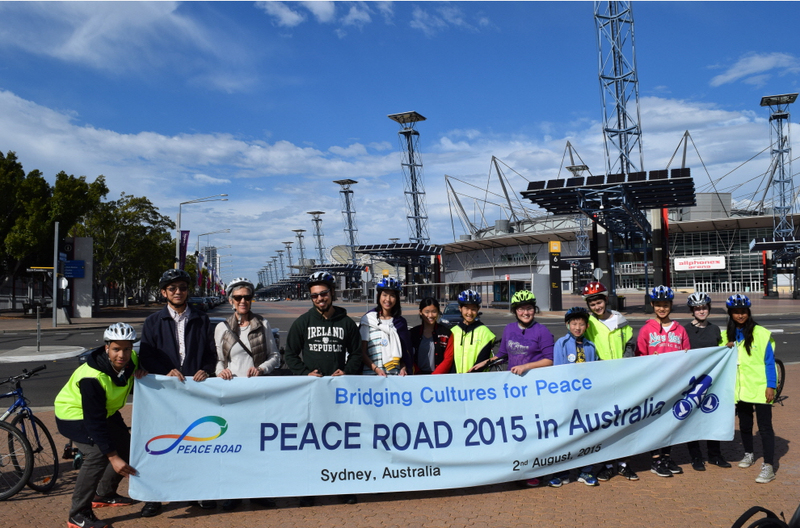 FFWPU Australia: On Sunday, 2 August 2015, the Sydney church community held a Peace Road event at Bicentennial and Olympic Parks as part of the Peace Road project that is happening all around the world. 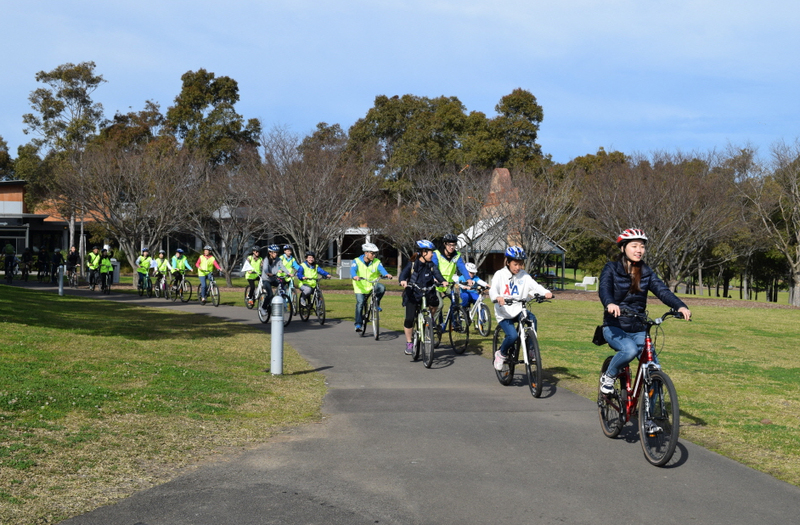 More than 73 people participated in this event, with 50 people taking the 10 km bike tour and 22 people joining the 3km walk. 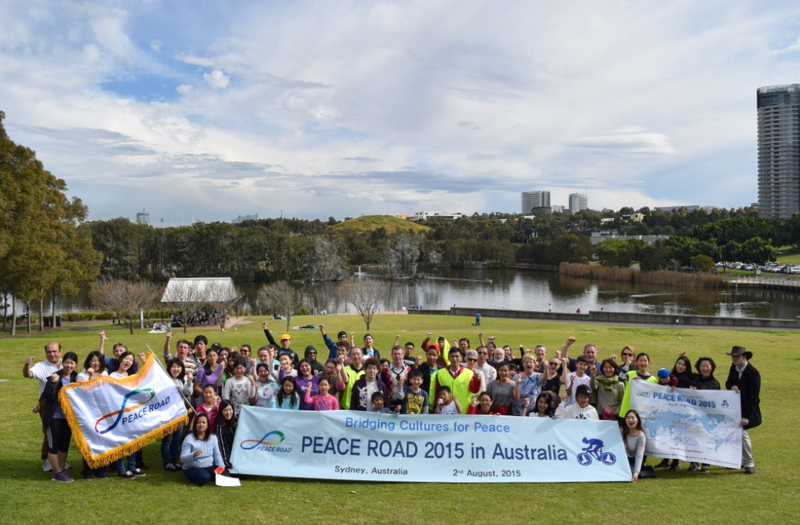 The event was organized by a team of youth, with the support of national leader Rev Soon Teck Lim. William Saver, a local second gen, was responsible for planning the bike and walk routes as well as communicating with the bike hire. The program manager and MC of the opening and closing ceremonies was Jana Lajdova, a UPA graduate, and coordination of the event was managed by Kwonil Yang, a Korean staff from the national office. 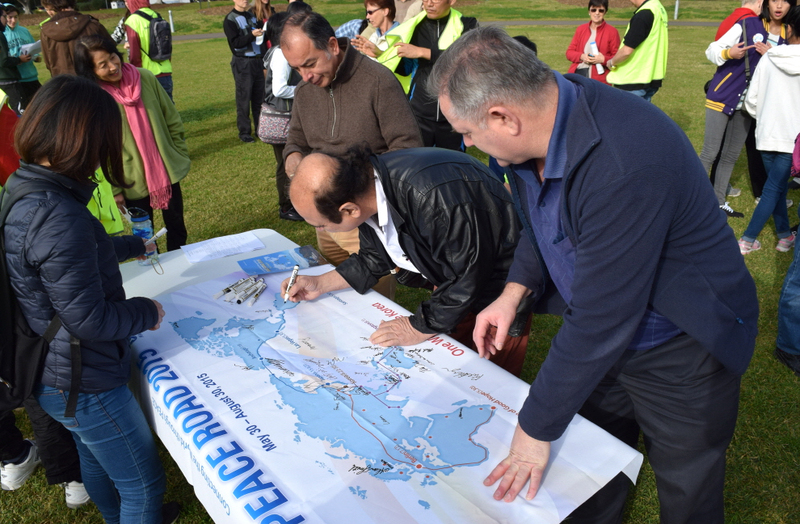 Registration for the participants of the Peace Road project began at 9am, and at this time they were also able to sign the banner with the world map of the peace road. 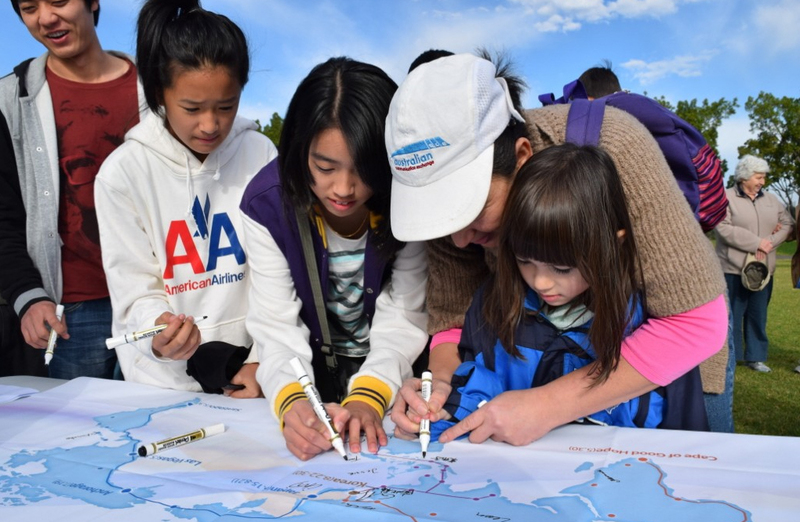 Then at 9:30am the event kicked off with an opening ceremony in a central area of the park led by Jana. 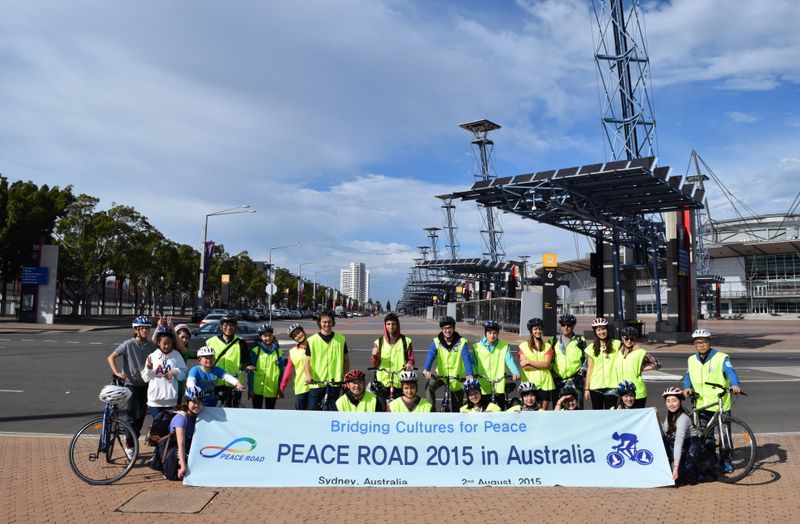 There was a launching ceremony with the receiving of Peace Road flag. 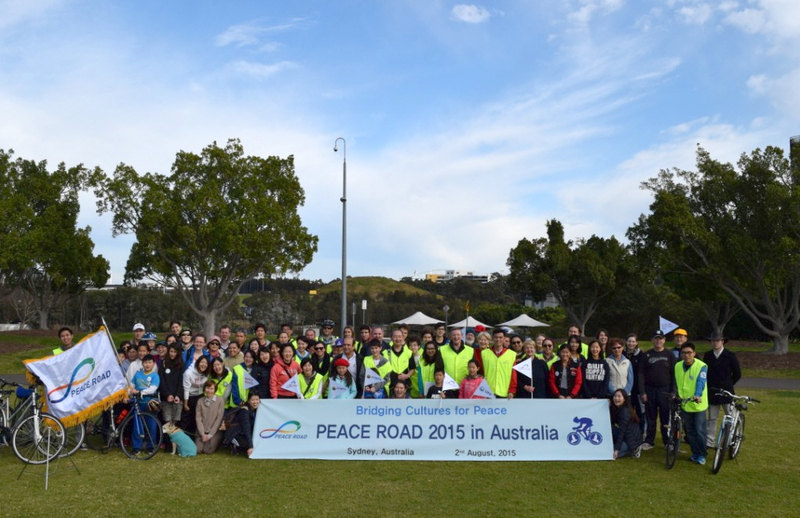 Rev Lim offered some words on the meaning of the Peace Road and Rev. Moon’s vision, and William explained the logistics of the walk and bike ride. 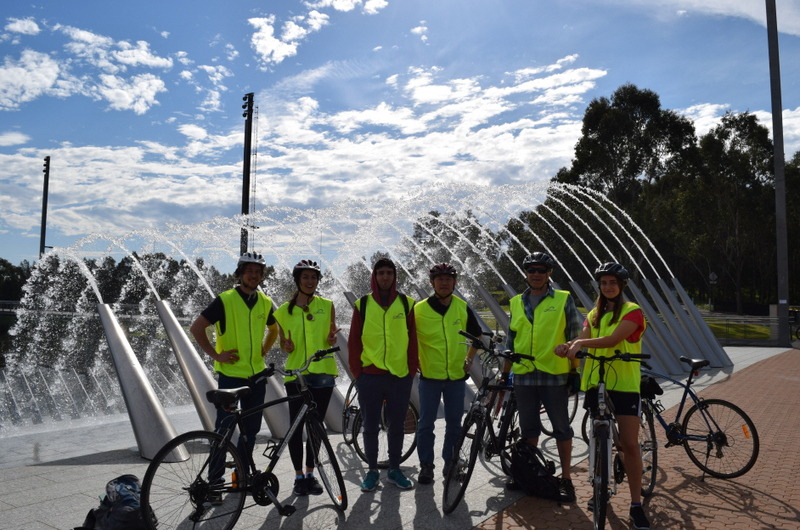 There was a group photo and then everyone who did not bring their own bike went to the bike hire location nearby. 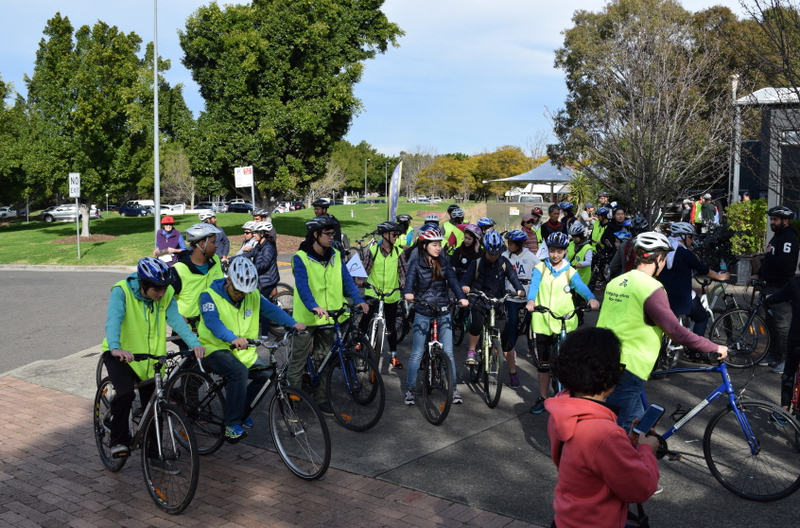 At 10am the cyclists set off, wearing their bright yellow vests with Peace Road logos, in three groups of fast, medium and slow speeds, with the latter group consisting mainly of children. Each group was also led by local second gen volunteers, and there were two medics as well. 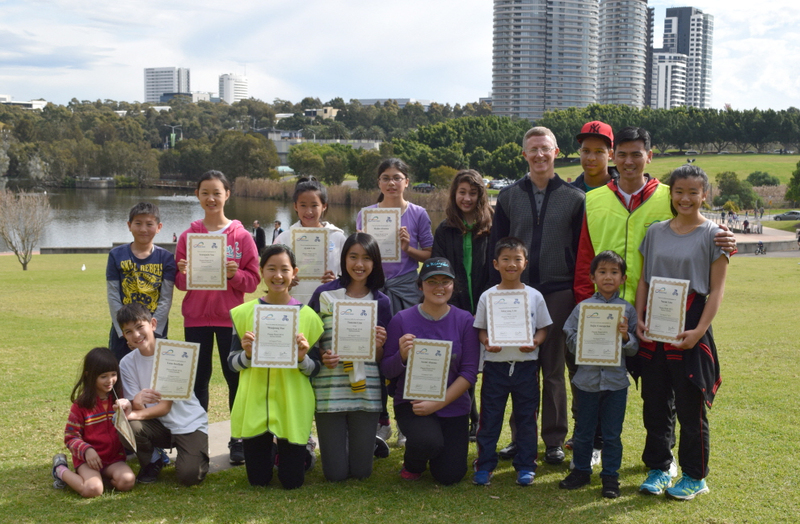 The fourth group consisted of the walkers, who finished their course a bit earlier than the others. 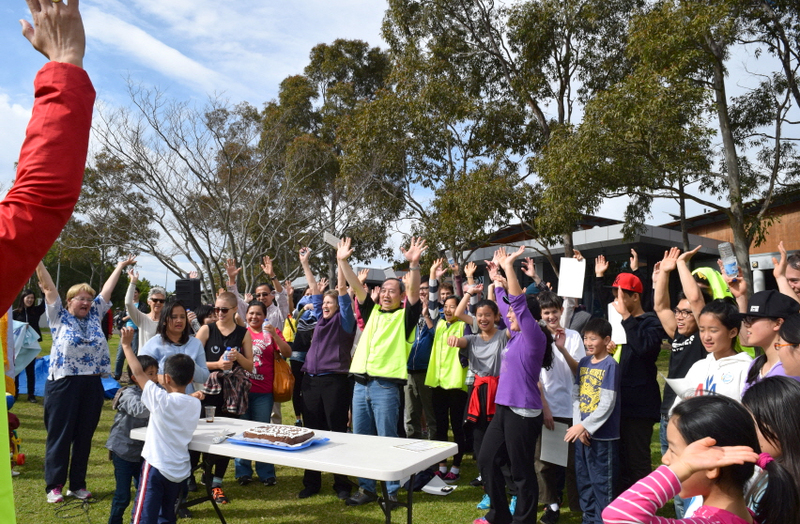 A few volunteers stayed behind to prepare the barbecue, which included sausages, steak and Korean pork belly generously donated by Man Soo Han. 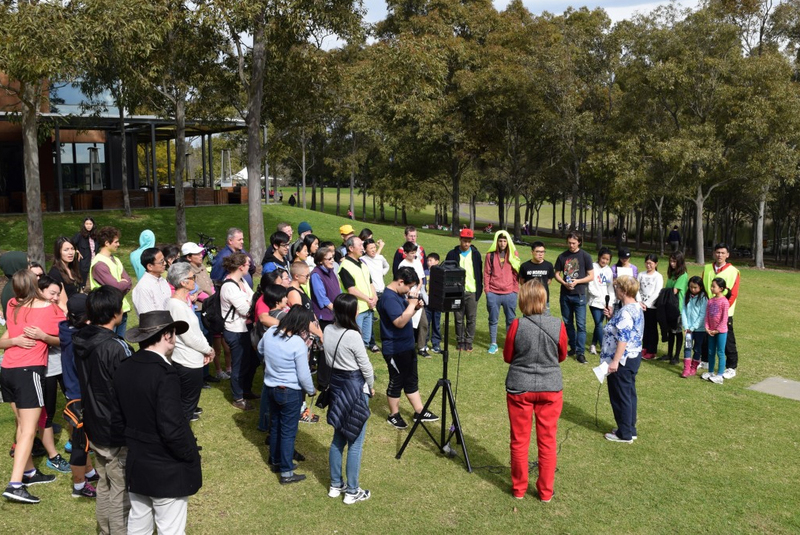 After everyone had returned, there was a closing ceremony that included some words by UPF Oceania secretary general Rev Greg Stone, a singing of “Tongil” led by Debbie Bruce and three cheers of oek mansei with William.